Go-anywhere and do-anything nylon skins for tough approaches in varied conditions. With up to 16cm of length adjustment, they fit a broad range of ski lengths. The premium plus nylon offers fast gliding at minimal weight, and gives solid performance on crusty snow, wet goo or blower powder. 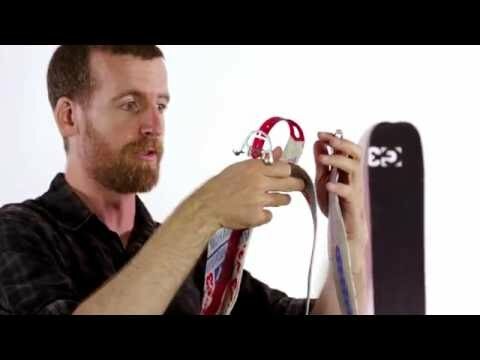 16cm of adjustability lets you use the same pair of skins on a wide range of skis. Tail connectors are low profile and feature a "pop up" design for fast changes with gloves on. Redesigned tip connectors feature low-profile stainless steel hands for a good fit and reduced tip-catch. Hydrophobic water treatment prevents ice clumping.